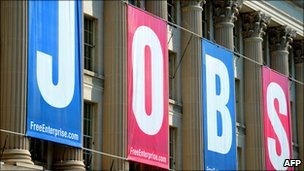 US unemployment rate rose again to seven month high of 9.8 percent, US labour department said on Friday, December 3. Only 39,000 jobs were created in November much less than analysts’ expectations. In addition, this figure is very lower than the figure of 172,000 jobs created in October. Most of the western stock indices were closed down on the back of US unemployment report. The UK’s FTSE 100, Germany’s DAX and France’s CAC fell back registering negative change. Euro inched up to $1.335. However, the jobs number is the first estimate and optimists are expecting the figure may be revised upwards. Jobs were created in the business services, healthcare and mining sectors, but job numbers in the retail and manufacturing sectors fell. The labour department of the US said there were 15.1 million unemployed in the US, which is equal to 9.8 percent. This is greater than 9.6 percent figure recorded past three months. Analysts say that many people are giving up seeking new jobs there by disappearing from official unemployed people. There was also rise in long term unemployed labour department revealed. Rise unemployed means less people coming to shops to buy goods. Less consumer spending contributes to slower GDP growth. Many US citizens ceased to be eligible for claiming unemployment benefits by November as per BBC news. Is Freedom of Speech in America at Odds? Is this a case for shallowness of freedom of speech in the US? Velma Hart, the chief financial officer for Am Vets, a veteran services organization based in Maryland, is laid off two months after she criticized the US President Obama while directly talking to him in a town hall style meeting in September. The programme was telecast on CNBC. Velma reportedly told Obama that she was exhausted from defending him and his economic policies and waiting for the change, she expected after voting for him. Obama reportedly admitted it was tough time. The Am Vets’ executive director was quoted by the Washington Post as saying the laying-off action had nothing to do with the Velma’s criticism on Obama’s policies. The director said, "She got bit by the same snake that has bit a lot of people. It was a move to cut our bottom line." But, removing a chief officer as part of cutting expenditure seems somewhat odd, as the firm will have to lose her experience with the firm and its operations and expertise acquired with that experience. 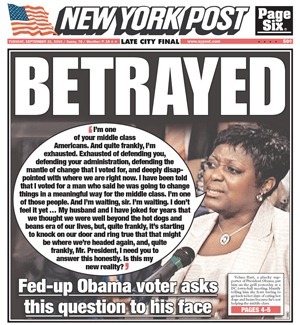 Velma told CNBC television that she was still supporter of Obama. Her family was facing hard times with the loss of job, she said. She is expecting that there is a job looking for her in coming days. Let us expect the same. Germany has been skeptical of its immigration policy recently as per the statement of the Chancellor Angela Merkel. She said, “Germany’s attempts to create multicultural society have failed.” One of her party colleagues said, “Multikulti is dead.” A board member of the German central bank Thilo Sarrazin went too far by saying, “Muslims have become burden to the German society.” He alleged that no immigrant group other than Muslims was so strongly connected with claims on the welfare state and crime. Interestingly, he received widespread support after his statement, and his book on the same subject received good readership. 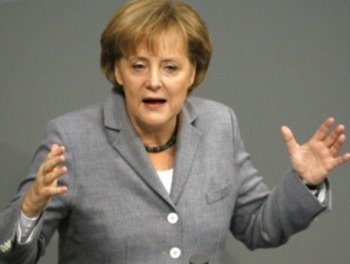 Germany Chancellor said that her government needed skilled people to keep the German economy’s growth pace faster. At the same time, she cautioned against unskilled people as they come to Germany for social benefits. While Angela’s invitation to skilled people was economically oriented, her rejection of unskilled people was socially oriented. Maybe the Chancellor has to understand that the economic prizes are always associated with social costs in unequally developed societies. 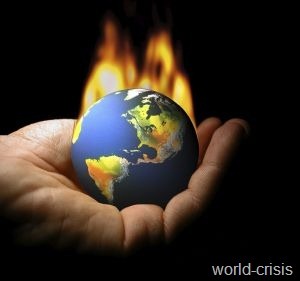 Inviting economic fruits but denying social costs is something equal to rejecting that a coin has two sides. A leading German demographer Reiner Klinghoiz, director of the Berlin Institute for Population and Development, said Germany desperately needed immigrants and it should ease restrictions on immigration to provide the skilled workers, from engineers to computer experts to ensure the future economic success, as per Reuters. He informed that immigration to German had come to a virtual halt in the last two years. The recession, economists say, technically ended in mid-2009. A year later the unemployment rate is still stuck above 9 percent, and it may take until 2012 for it to reach 8 percent, according to a survey of economists by Bloomberg News. The general explanation for this stubbornly high rate is that companies face an unprecedented era of uncertainty, with questions on the impact of health-care reform, the strength of the real estate market, and the cost of financial regulations all remaining unanswered. Until companies get clarity, they will be reluctant to hire new full-time employees.The job crisis could be seen another way: as a continuation of a trend that started 20 years ago. Before 1990, recessions in the U.S. followed a similar pattern. The downturn would end, and companies would start adding jobs in a little more than two months, according to the National Bureau of Economic Research. In 1990-91 hiring began outpacing firing three months after the end of the recession. It took seven months after the 2001 recession’s technical end before hiring trends turned positive, and 27 months before companies hired in large enough numbers to cut seriously into unemployment. This time the lag is even longer. U.S. private employers added fewer workers to their payrolls in July than expected and hiring in June was much weaker than had been thought, a big blow to an already feeble economic recovery. The dismal news on jobs poses a challenge to officials at the Federal Reserve who are debating whether more needs to be done to foster growth, as well as to Democrats hoping to retain their congressional majorities in November elections. “The labor market improvement has slowed to a glacial pace, consistent with third-quarter growth even slower than the second,” said Nigel Gault, chief U.S. Economist at IHS Global Insight in Lexington Massachusetts. “It doesn’t look like a double-dip, but it looks like very weak growth.” Overall non-farm payrolls fell 131,000 last month, the Labor Department said on Friday, the second straight monthly decline as temporary government jobs to conduct the decennial census dropped by 143,000. Private employment, a better gauge of labor market health, rose a modest 71,000 after gaining just 31,000 in June. The government revised payrolls for May and June to show 97,000 fewer jobs than previously reported. Financial markets had expected overall employment to fall 65,000 in July, with private-sector hiring increasing 90,000. Prices for safe-haven U.S. government bonds rallied, driving benchmark 10-year Treasury debt yields to a 15-month low, and the dollar tumbled to near a 15-year low against the yen. Given the poor state of the labor market, discouraged workers gave up the search for jobs in droves last month. That kept the jobless rate steady at 9.5 percent since people not looking for work are not counted as being in the labor force.